Do you have a passion for open science? Interested in Arctic research? Excited to engage with the broader research community? We are currently seeking a Community Engagement and Outreach Coordinator to maintain and further develop our community building, communications, and data science training activities, in addition to supporting communication activities across other NCEAS projects. Full position description, responsibilities, qualifications and details of how to apply can be found at: https://recruit.ap.ucsb.edu/JPF01500. The position will remain open until filled with initial review of applications on 5/20/19. 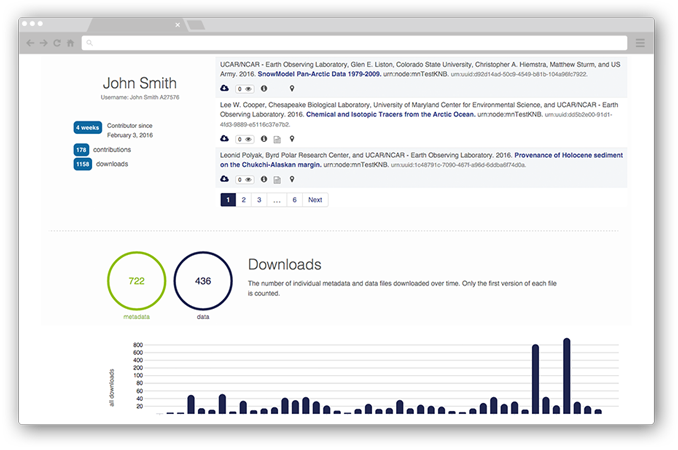 Upload software, scientific analysis code, and data in any format. Once data have been submitted to the Arctic Data Center, our metadata staff will review and provide suggestions for improvement, and, once everything is set, we will make the data publicly accessible and publish it with a DOI. 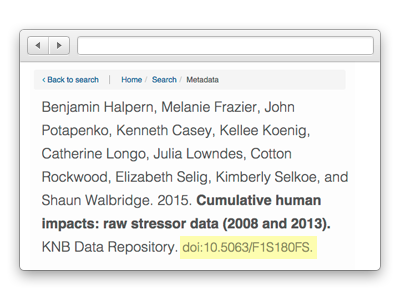 This will allow you and other researchers to cite the data set directly in NSF reports, publications, and other venues. 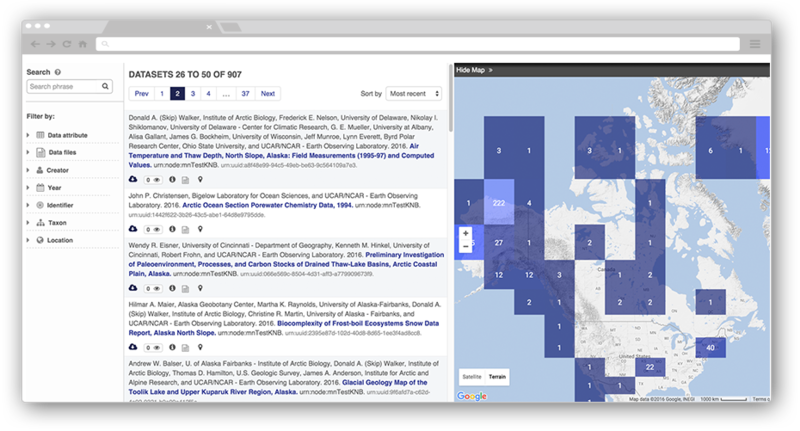 The DOI is registered with DataCite using the EZID service, and will be discoverable through multiple data citation networks, including DataONE and others. Where is the ACADIS Gateway? As of March 28, 2016, the NSF Arctic Data Center will serve as the current repository for NSF-funded Arctic data. 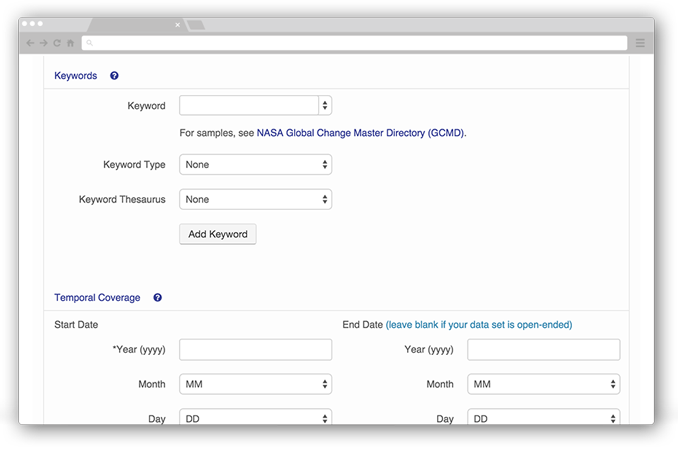 The ACADIS Gateway is no longer accepting data submissions. All data and metadata in the ACADIS system have been transferred to the NSF Arctic Data Center system. There is no need for you to resubmit existing data. 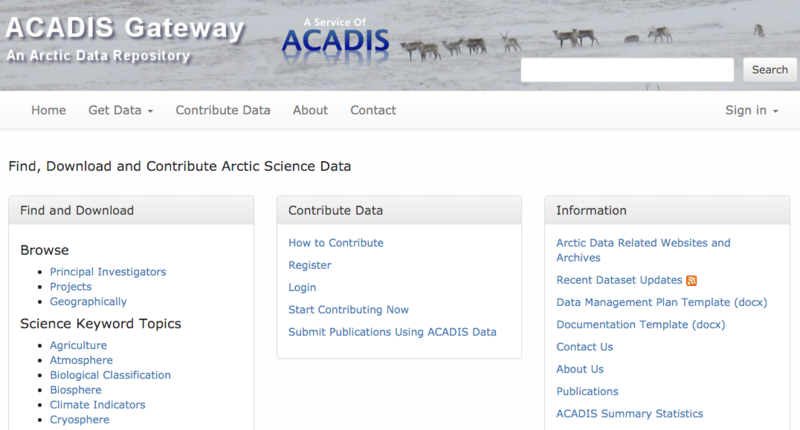 If you are a current account holder in ACADIS and have an ORCID identifier, or have just created one, you will be able to sign in to the NSF Arctic Data Center and submit data. 2. Email support@arcticdata.io and provide your ACADIS account name and your ORCID identifier. 3. We’ll do the rest. We will connect the two accounts so that all your data are available to you through the ORCID sign in process. We hope to make this process as fast as possible. ORCID identifiers enable researchers to cross link across different types of research products (data, publications etc.) to create unique profiles showcasing their work. Data are valuable research products and we believe researchers should get credit for publication of data sets. By integrating ORCIDs with the NSF Arctic Data Center, researchers will be more able to showcase their work and receive credit.